UserVoice i ntegration with Yodiz enables teams to view, plan and manage customer tickets with ease. 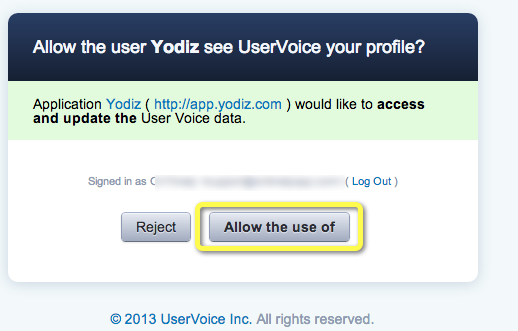 You can convert UserVoice tickets and Ideas into Issues or User Stories. 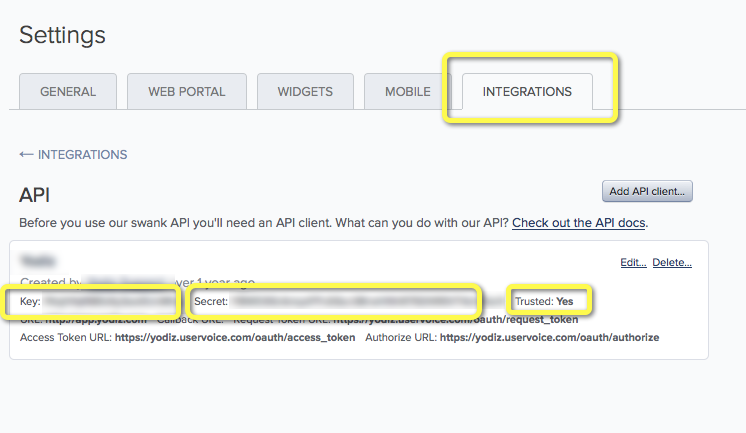 Go to "More" from top navigation and select "UserVoice"
You will be prompted with form to fill 3 fields that are required for configuring Yodiz integration with UserVoice. 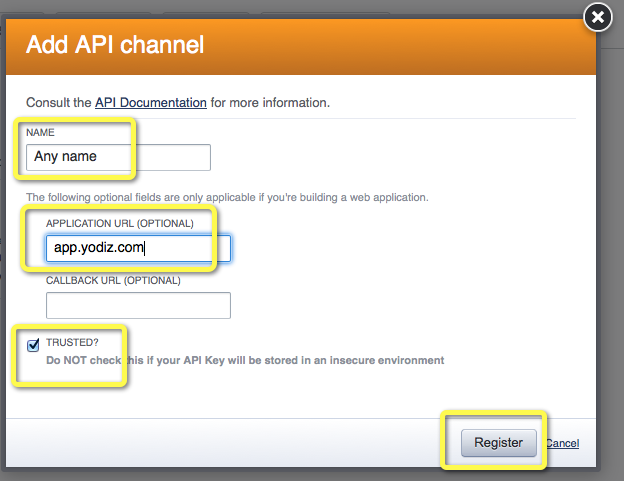 Click on "Uservoice API Keys"
Application URL can point to "app.yodiz.com"
Press SETUP NOW button at Yodiz, it will now take you to UserVoice authorization page, login there and press "Allow use of "